Second batch results and braids to go! 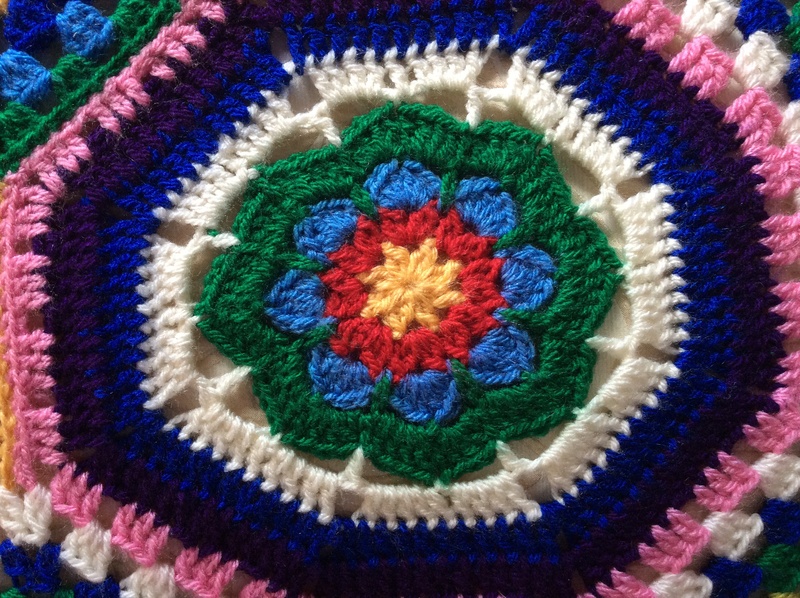 I just thought I would update you briefly on how the crochet study is going. My second set of samples came back very quickly – pleased to report that they all passed, in the upper band of 90% or over. 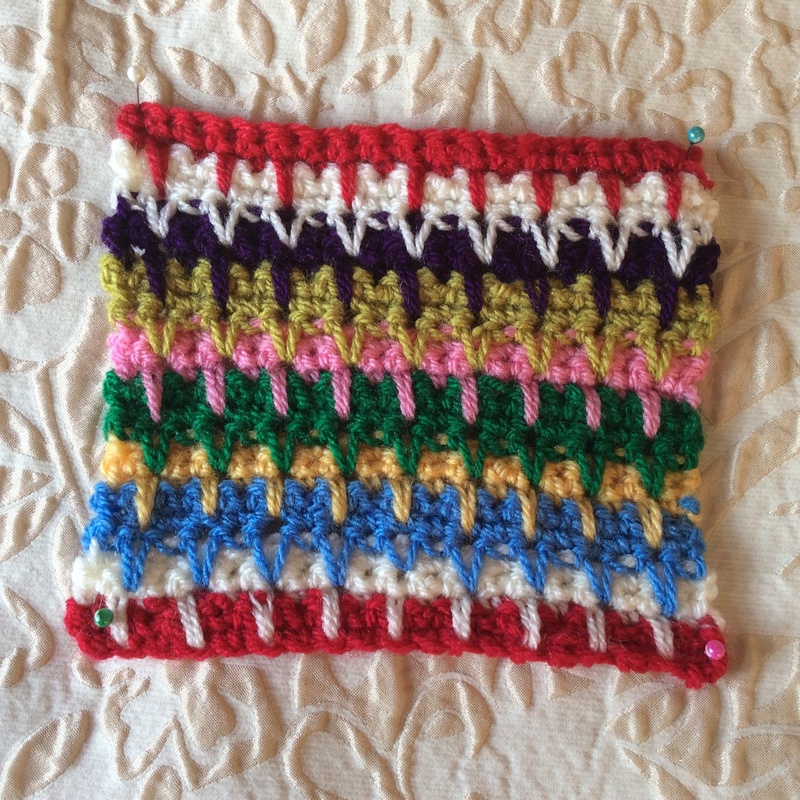 I was relieved that the sample of double crochet …… should have been the easiest of all ……. was fine this time as I seem to have sorted the problem with the edges and turning chains. Phew! My mentor for the course appears to place more emphasis on hook size than Pauline did when she marked my first pieces. 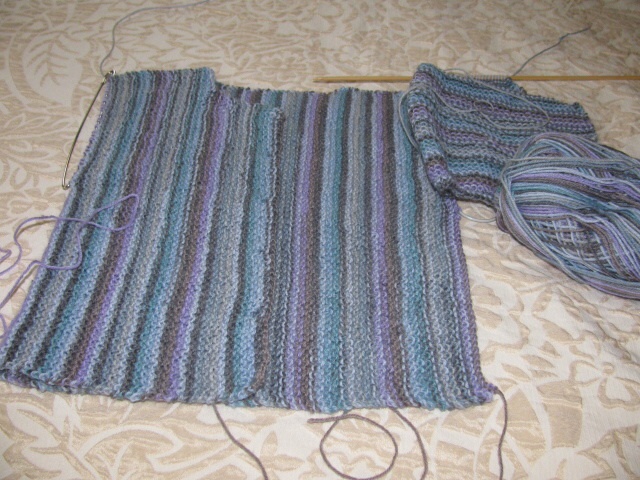 I shall, therefore, have to consider more carefully matching hook size to yarn in order to achieve a better drape. 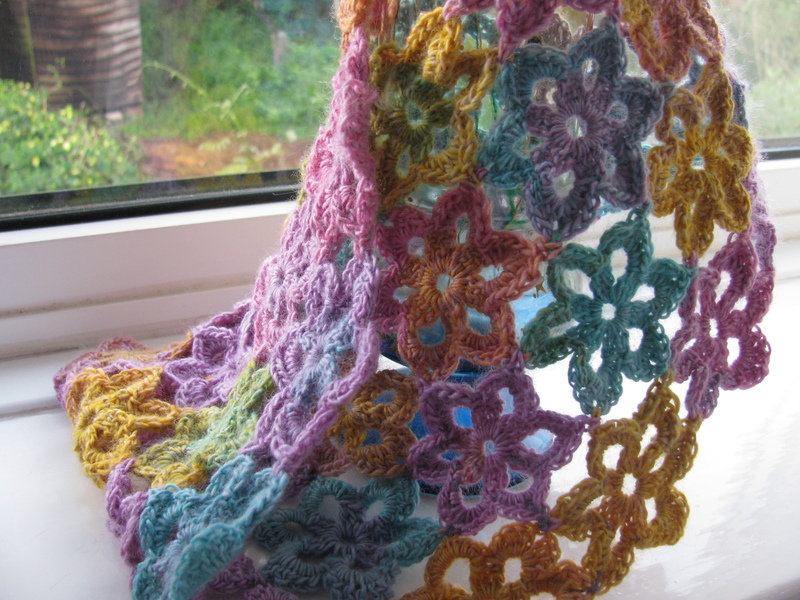 I can see that in the creation of fabrics to wear this is important and, probably, not having made many garments has made me less aware of the need to crochet a looser fabric. 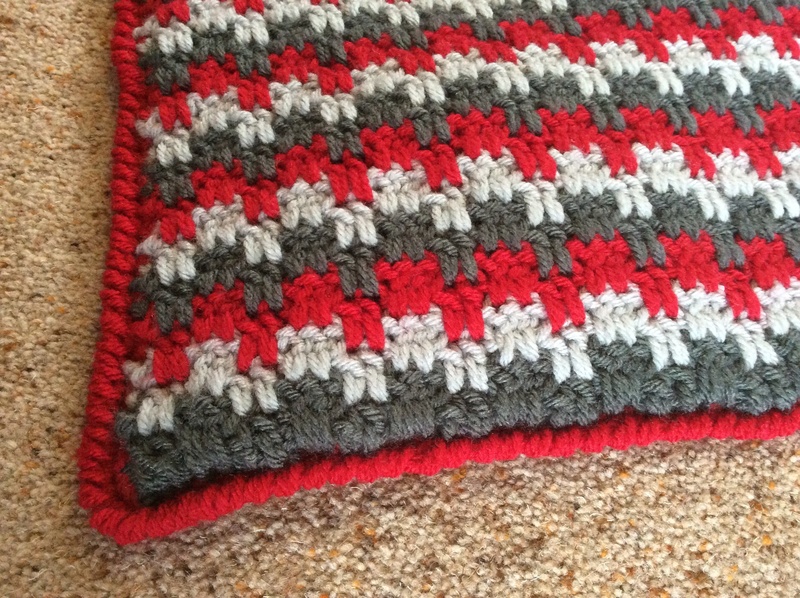 As you know, most of my previous projects have been afghans, cushion covers and other household items. 2. 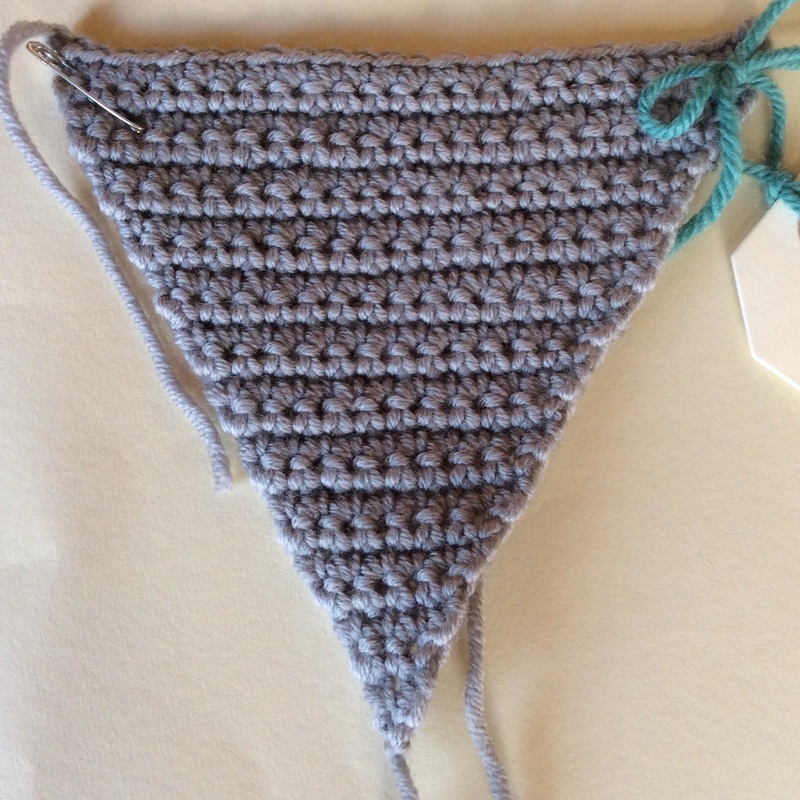 Working a triangle from a single double crochet stitch proved a real challenge so it was great to read that it is a “lovely piece of work”. 3. 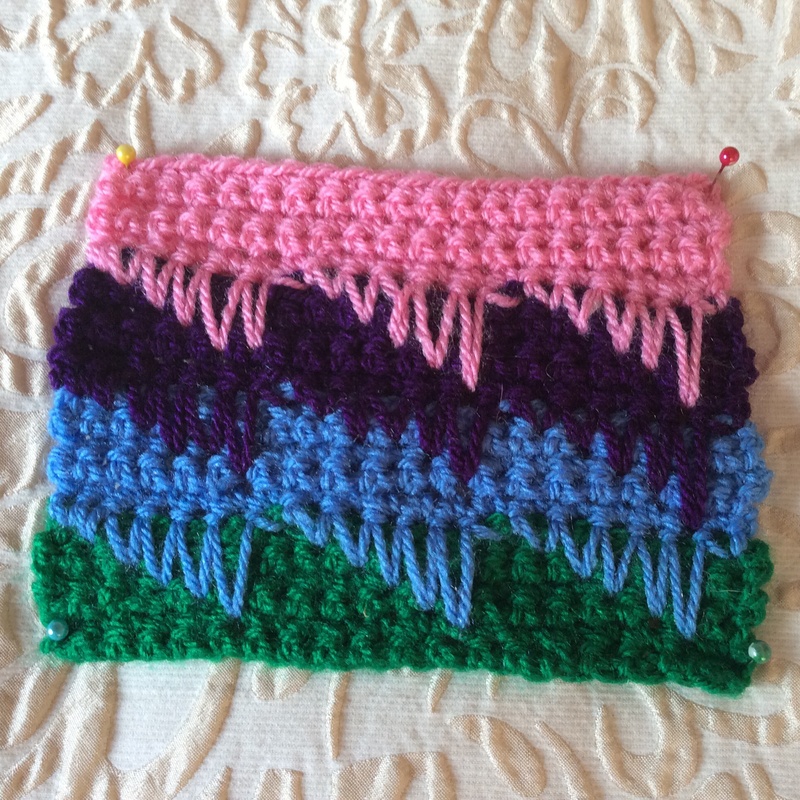 This next sample worked from slip stitches up to quadruple trebles – four rows of each using the same hook and same number of stitches – illustrates well the issue of hook size since it seems so tight at the bottom but far too loose and uneven at the top, the widest point. Even here a point was deducted for using a 4.00 mm hook instead of a 4.50mm. 4. 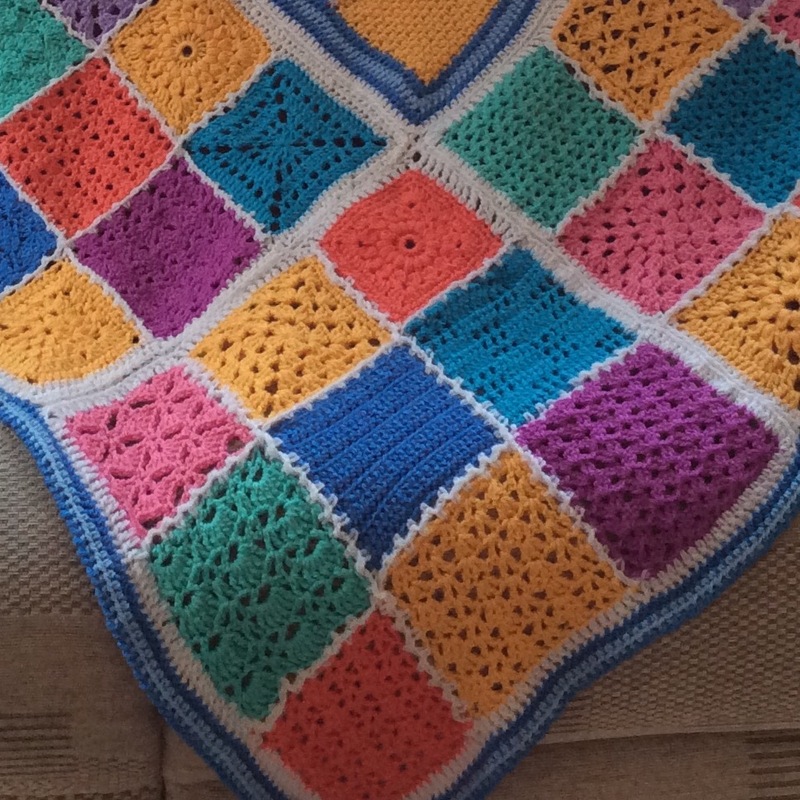 I loved doing the chevron and incorporating some colour; hook size was an issue yet again and the lack of visual balance because the sample did not finish with the same colour as at the beginning. 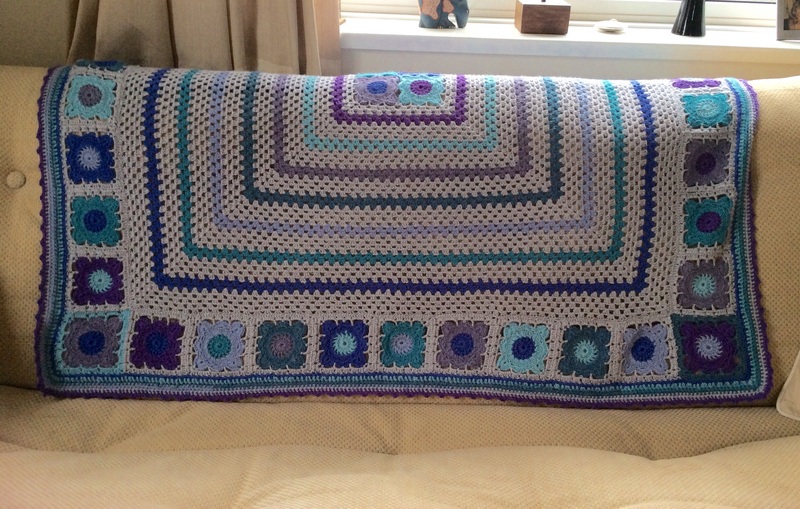 I’m pretty sure, though, that in a proper project such as a blanket or cushion cover I would not do that. 5. 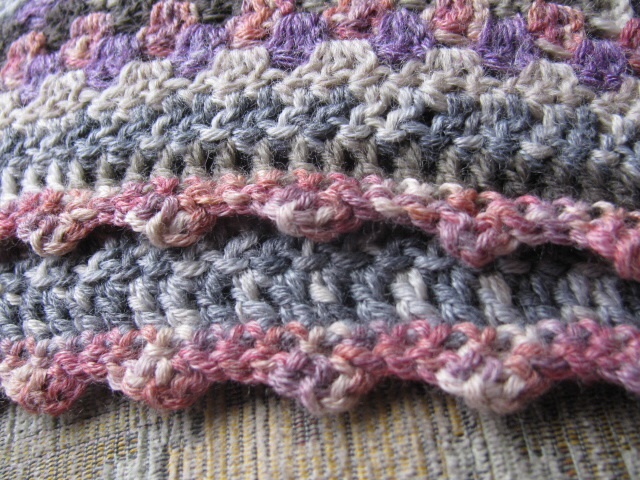 Sorry this is not a very good image of the basket weave stitch I used to show a heavily textured fabric in trebles. 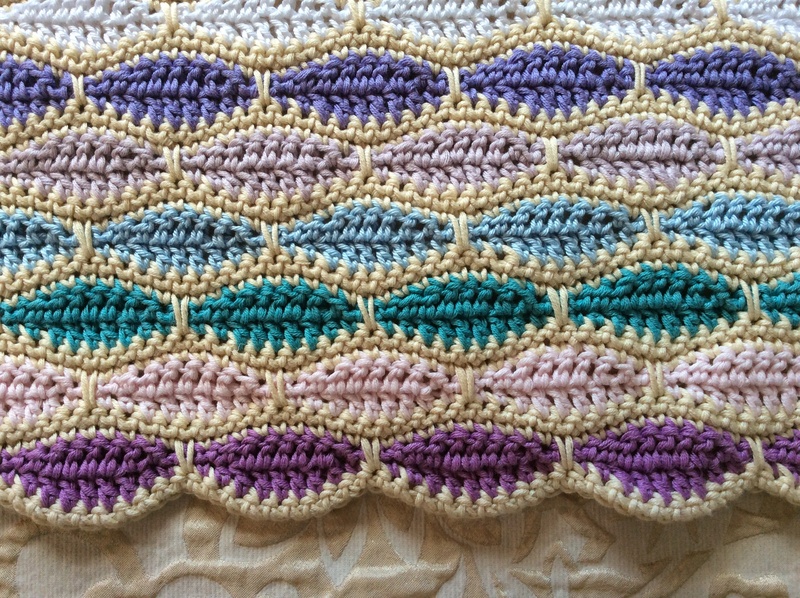 I love the finished texture but wow …. 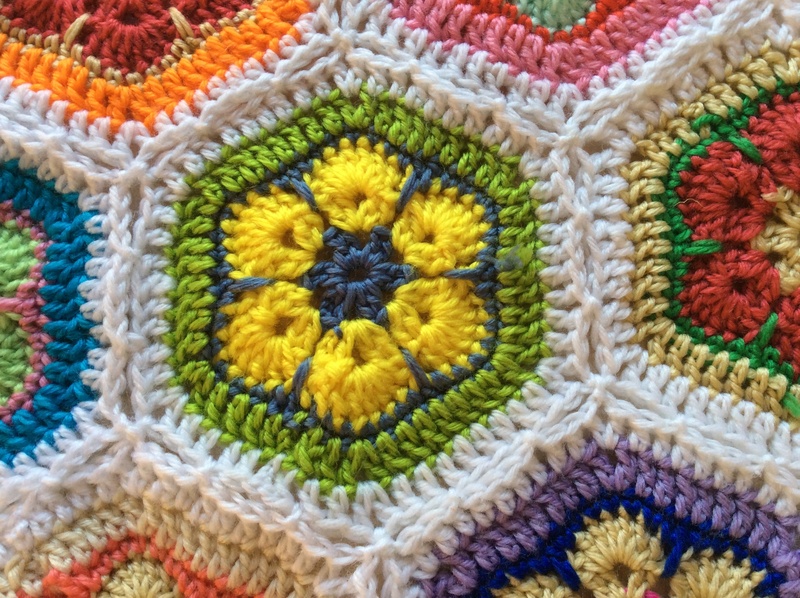 it uses a load of yarn. 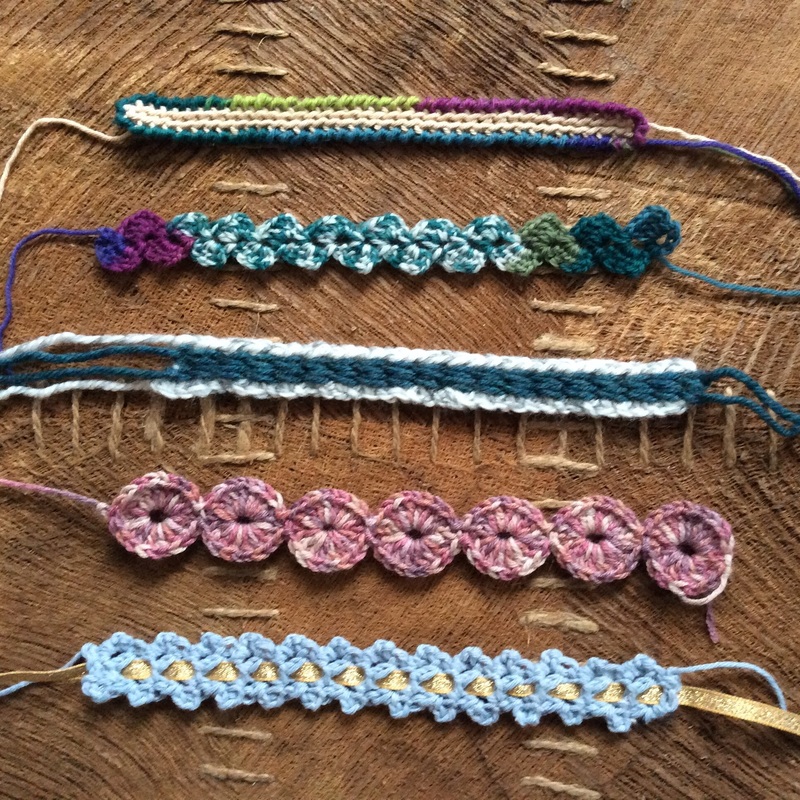 My next samples will be examples of five different braids. Pauline herself writes “What is or is not a braid is a debatable point” so students are indeed expected to interpret in their own way. I have opted for what I consider to be the safe option – strips of fabric with identical side edges. Who knows what my tutor’s view is? Let’s hope for the best. Well enough of my ramblings! News of my first garment project to follow soon. 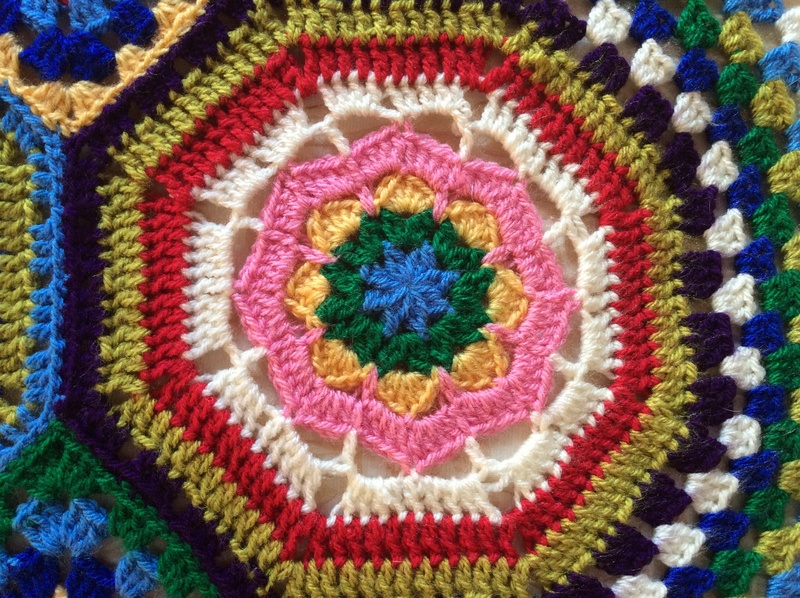 In the meantime have a good weekend lots of happy crochet and knitting. 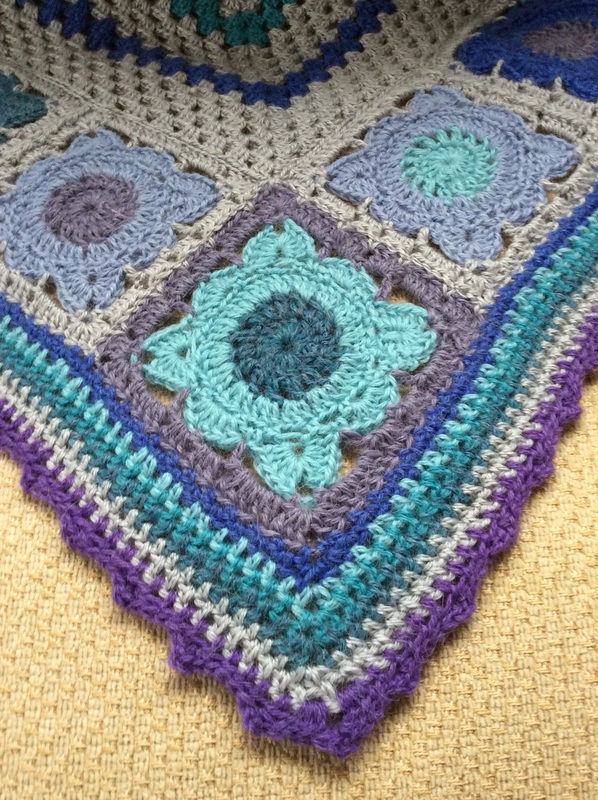 Yes, it has been ages since I wrote last – so long, in fact that you may not remember the afghan which I was working on with the wonderfully soft and beautifully coloured Tynn Alpakka yarn bought on holiday in Oslo earlier this year. 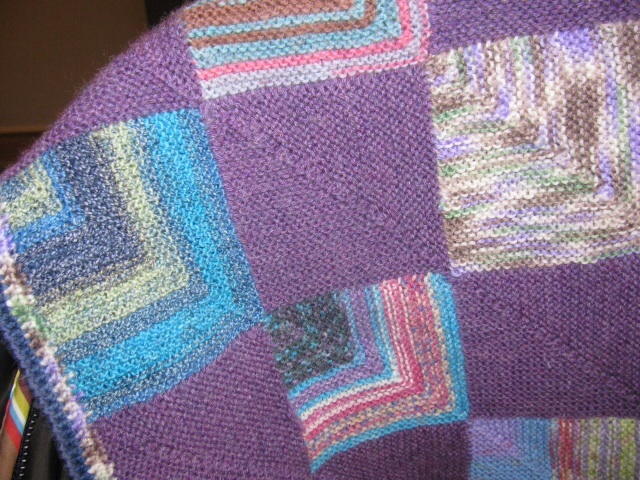 Well, I actually completed the throw a while ago but have just not had a moment to take photos and write up the final stages. Here it is in all its glory and I have to say I am really pleased with the result. It is probably the project which has given me the greatest pleasure from start to finish. 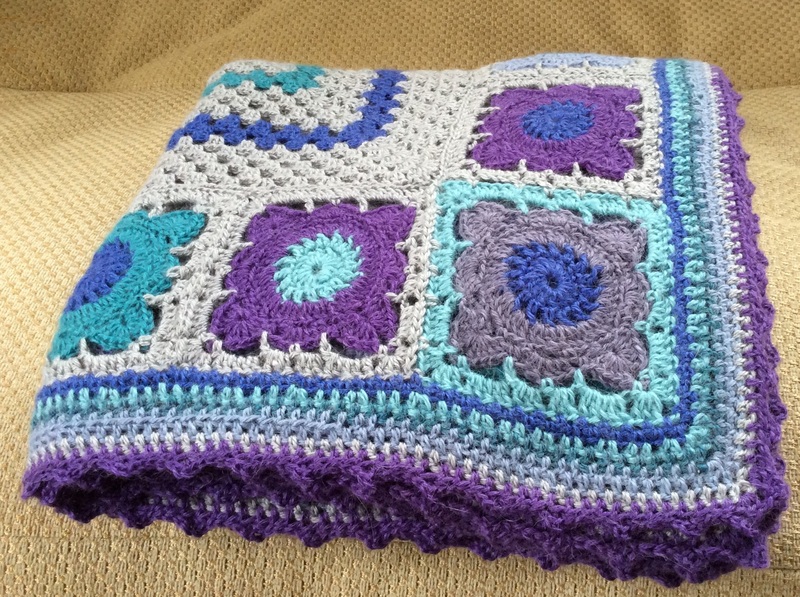 In the end I referred to Lucy at Attic 24 for the edging and chose a similar style to the one which she used for her beautiful Ripple blanket. It seems to have worked and – amazingly(!!) – lies flat. 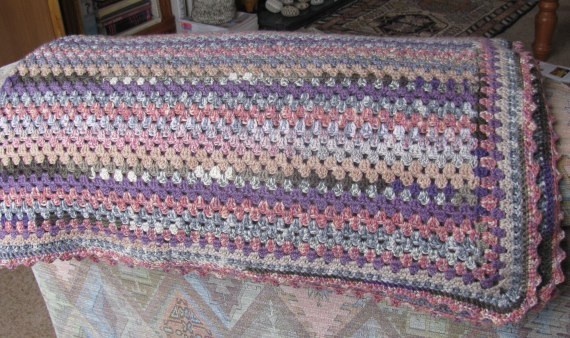 This is one afghan I shall not be giving away! 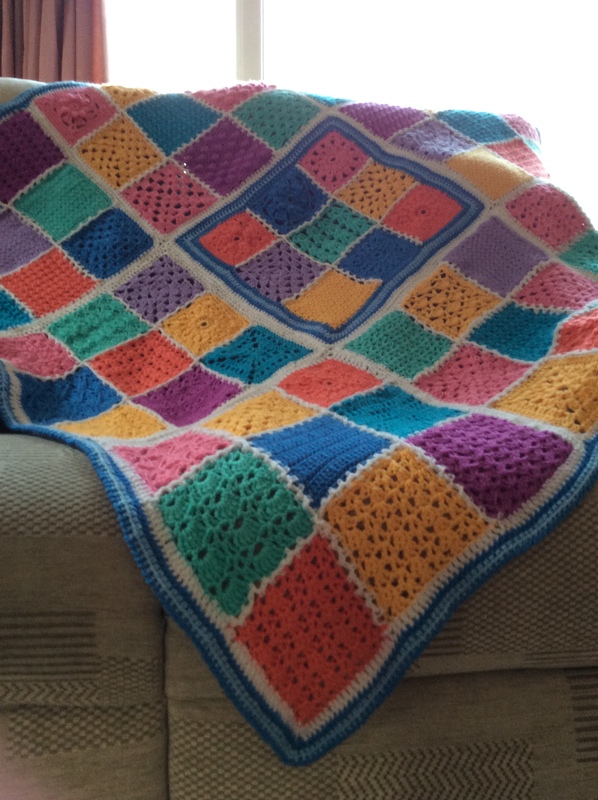 November has taken me by storm ….. literally too! …. and suddenly Christmas projects come into play. No chat or photos though – for obvious reasons. 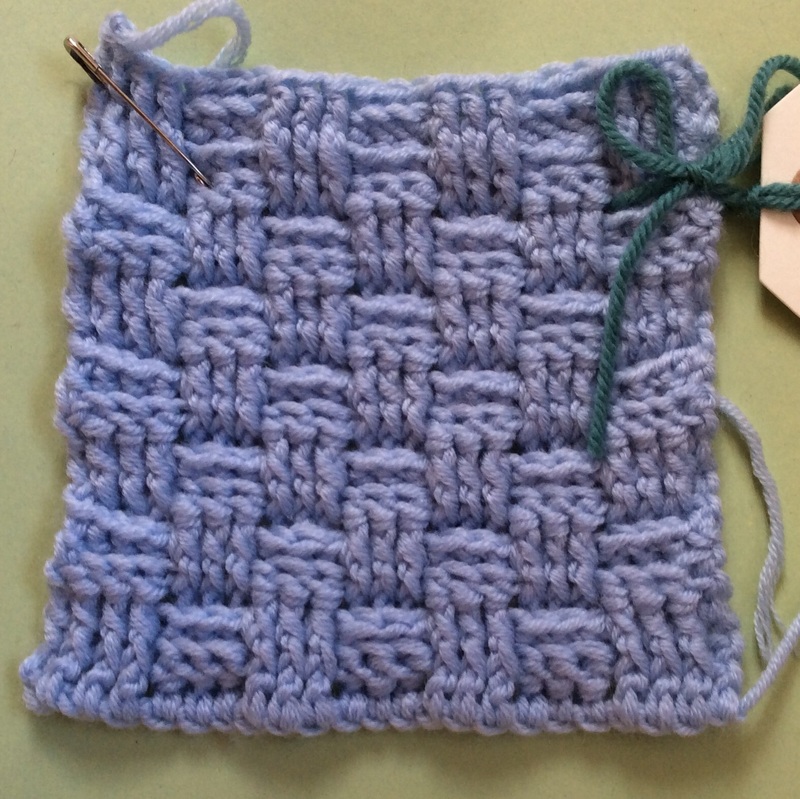 There is, however, one very interesting event coming up: my eldest granddaughter’s class are starting a knitting project. 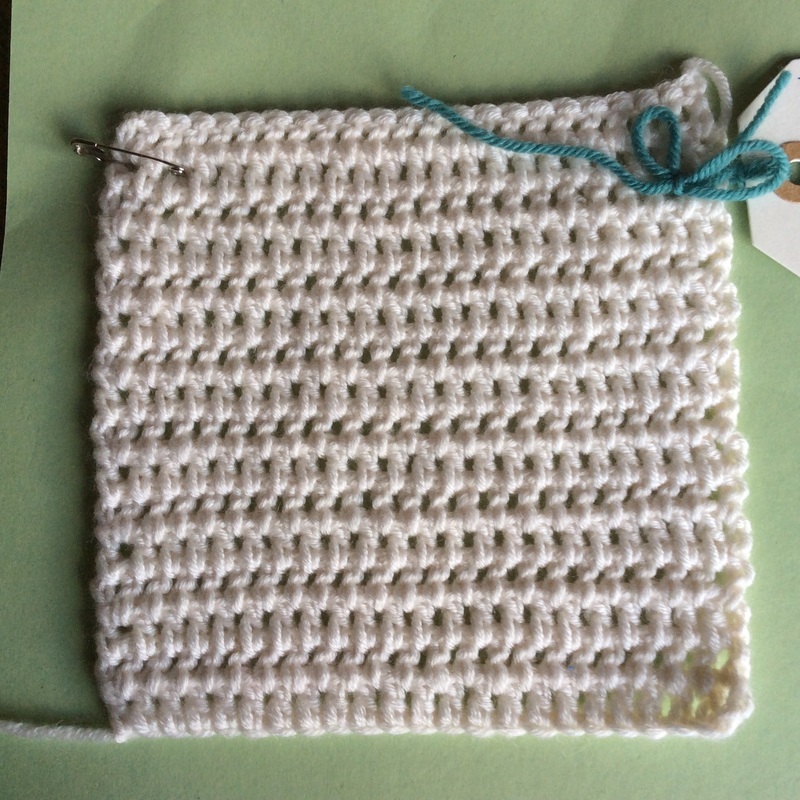 They will learn to knit and each one will make a 5 inch square. 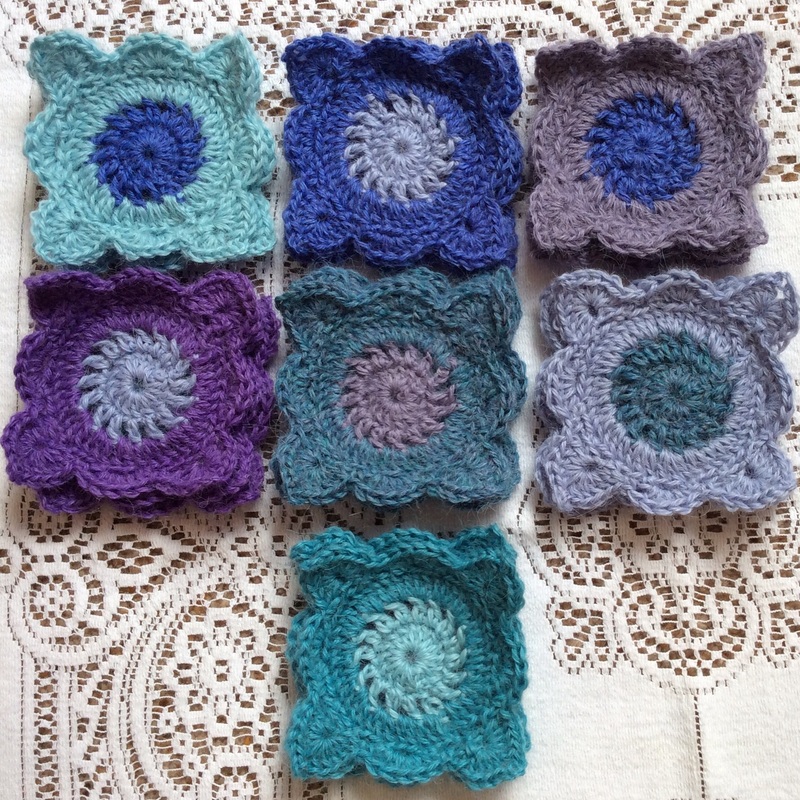 I have been invited along to support and encourage and my crochet group are involved too as they are making some crochet squares to complement the childrens’ work. More about all this to follow and hopefully some photos. Sock yarn but no socks! 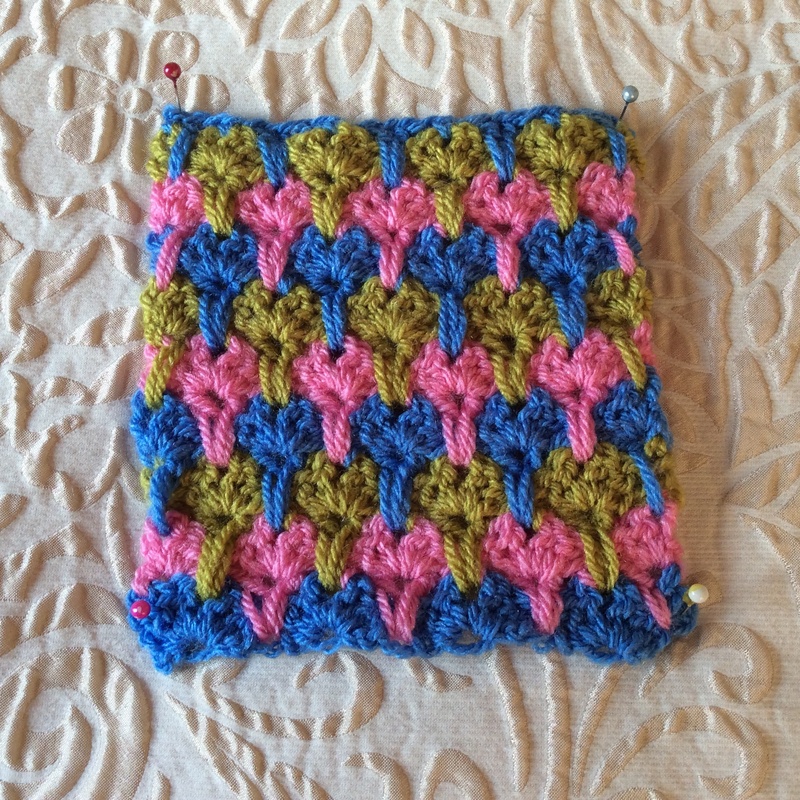 What is it about sock yarn that makes it so irresistible? For me I think it is the colours. Don’t get me wrong, I like making socks and loved the sock-making classes which I attended at Miju Wools in Gloucester where I met some great knitters and had some expert instruction from Michelle but when I see sock yarn it is not socks which come to mind first. 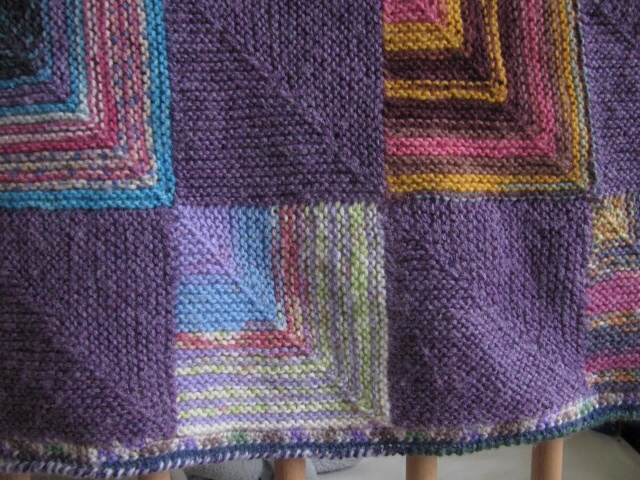 For ages I have wanted to try a sock yarn example of the granny stripes pattern from Lucy at Attic 24 and some recent stash busting led me to this project. an odd mix of colours but I like them! 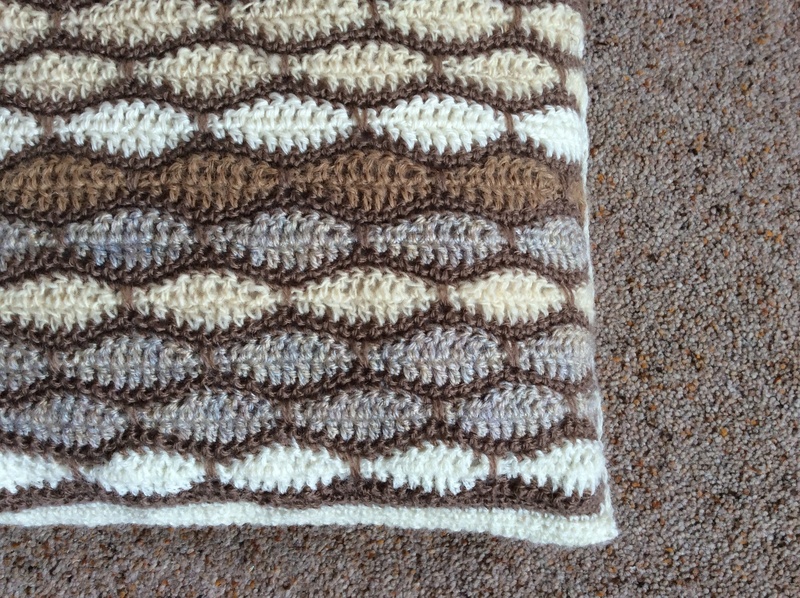 During a visit to Get Knitted in Bristol for a Debbie Abrahams workshop on working up one’s stash I saw an example of this beautiful moebius cowl by Amanda Perkins. The choice of sock yarns there was quite amazing and the design such fun to work with the colour changes. 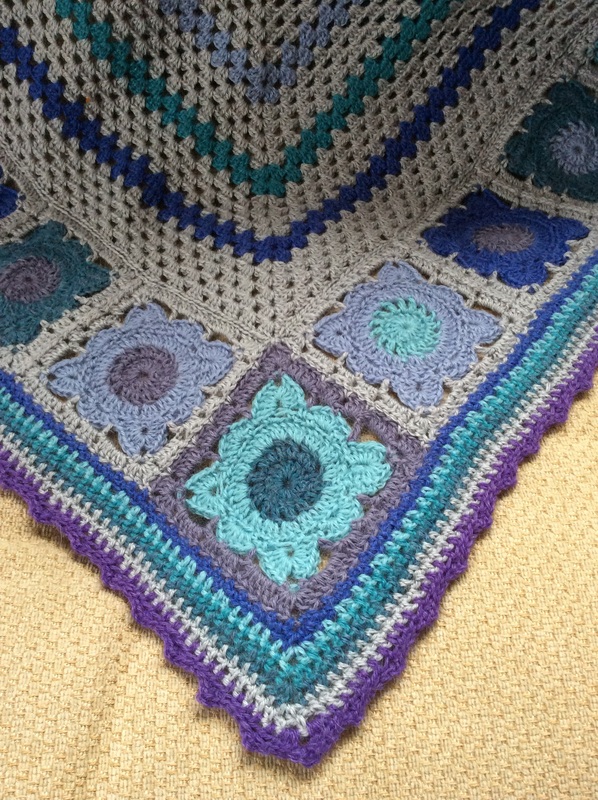 The following pattern for a baby cardigan was designed by Frances Fletcher and can be found here. 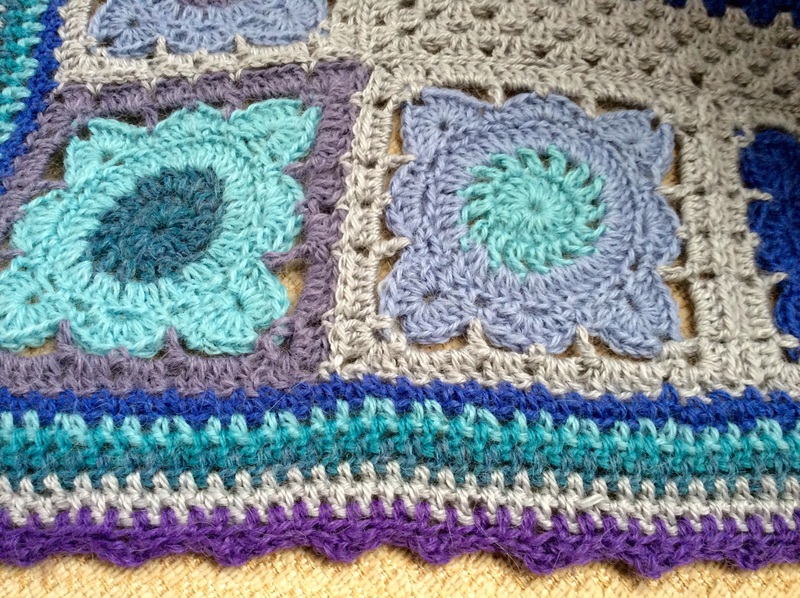 I discovered it initially in a lovely little yarn shop in Hereford which has, sadly, since closed down. 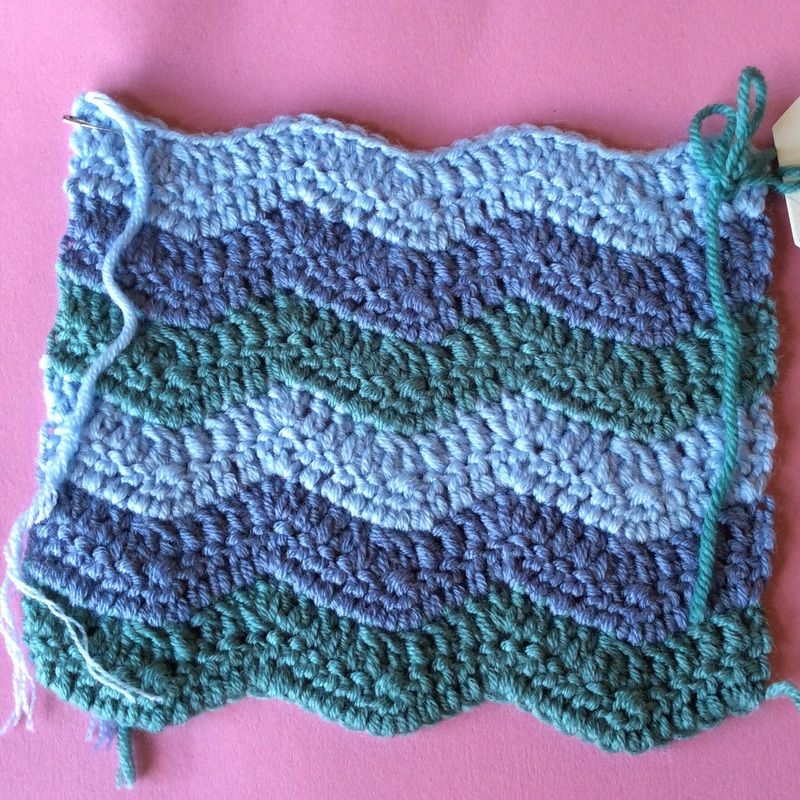 The yarn originally chosen was hand dyed and one skein was just enough for the project. This ensured complete originality on each garment. 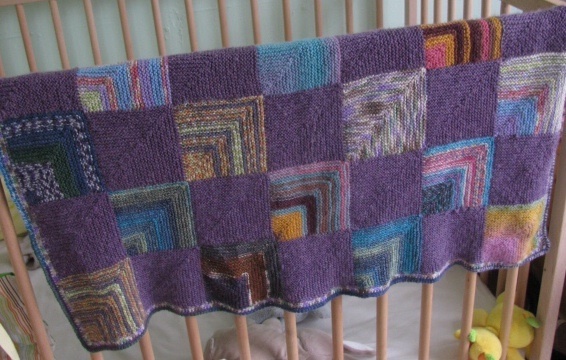 At the moment I am making this for a friend’s new baby (pics of completed item to follow) and I am using Regia Kaffe Fassett Ombre Design for this one – I just love the muted colours which remind me of the heathery shades chosen by Kaffe during a visit to Scotland. He learned to knit on the train journey back to London and went on to complete his first striped sweater….. and the rest is history! 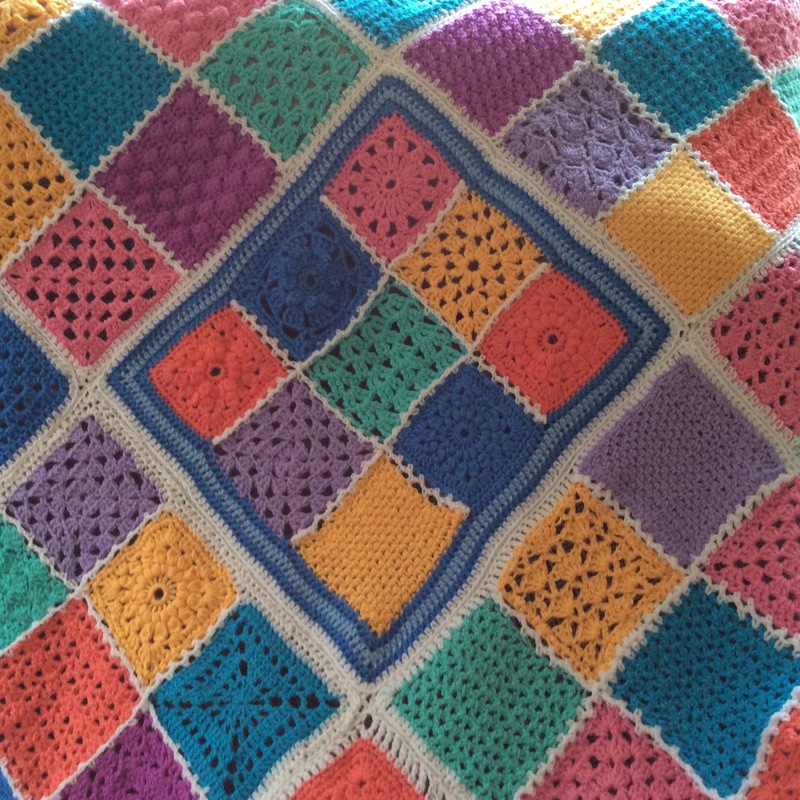 Another discovery has been the mitred square – using the pattern by Sue Ann Kendall found here I made this buggy blanket from oddments of sock yarn and incorporated one solid shade. 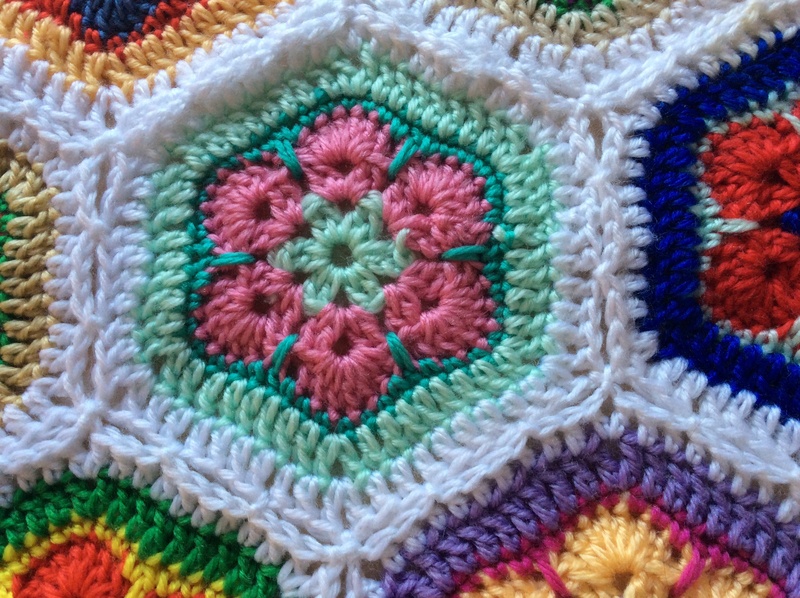 To me it is amazing that all the colours blend in so well and it is such a fun pattern to work. 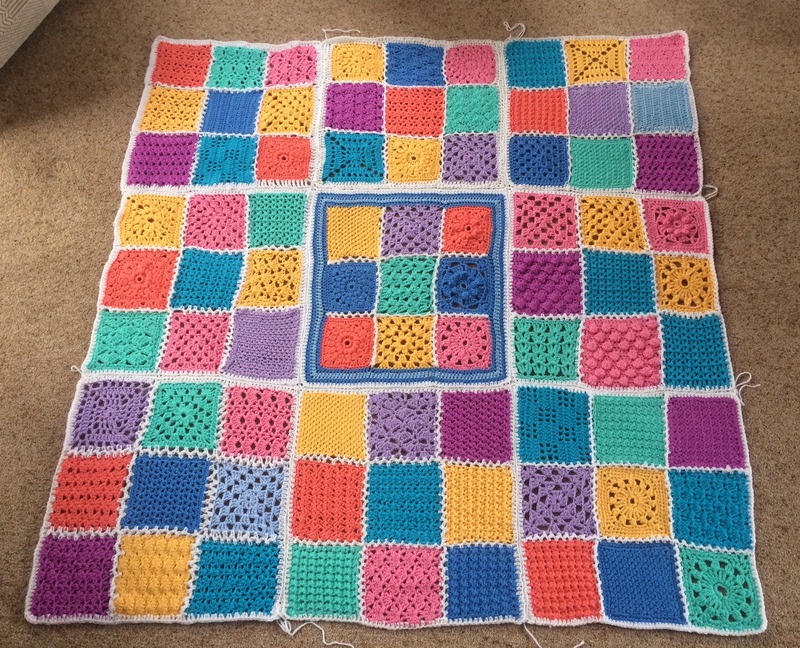 Each new square is added as you go so no seaming at the end. Brilliant! 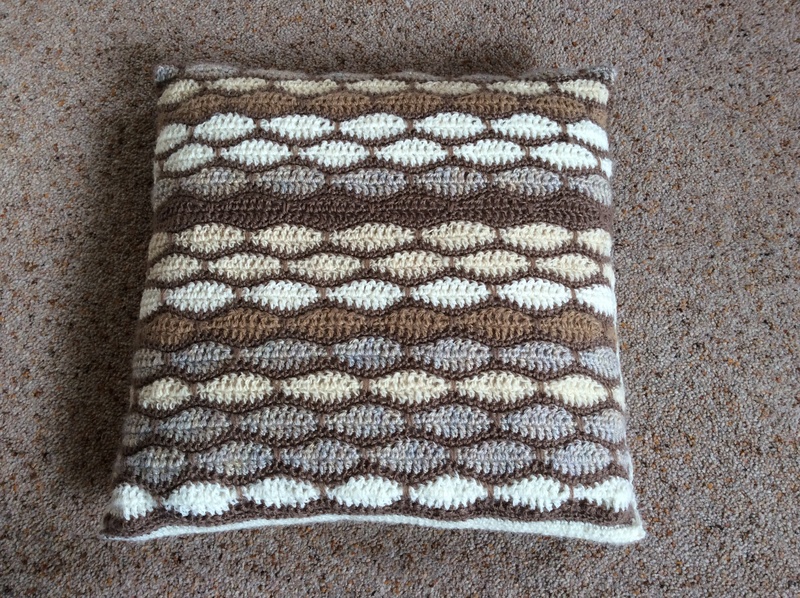 The woolly prawn tie – well, I couldn’t not mention this could I since it is one of the patterns in The Woolly Prawn. 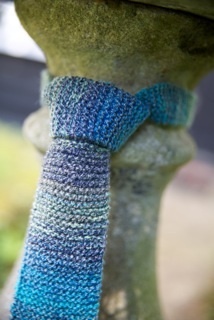 The design is so simple but the finished tie can be so different depending on what type of sock yarn you use. a spot of local yarn bombing? So, you see, there’s no need to feel limited to socks when you browse through the wonderful colours of the sock yarns in the shops or online. 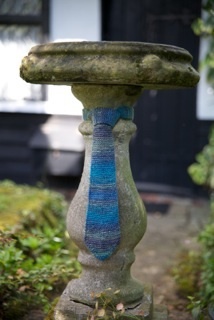 There are so many ways of enjoying those shades or even using up remnants when your socks are completed. Well, I’m off to enjoy the glorious spring sunshine now or, more precisely, to do a spot of gardening. Hope the weather stays fine over Easter.